Cava, the Spanish version of the traditional Champagne method sparkling wines is increasingly popular worldwide. 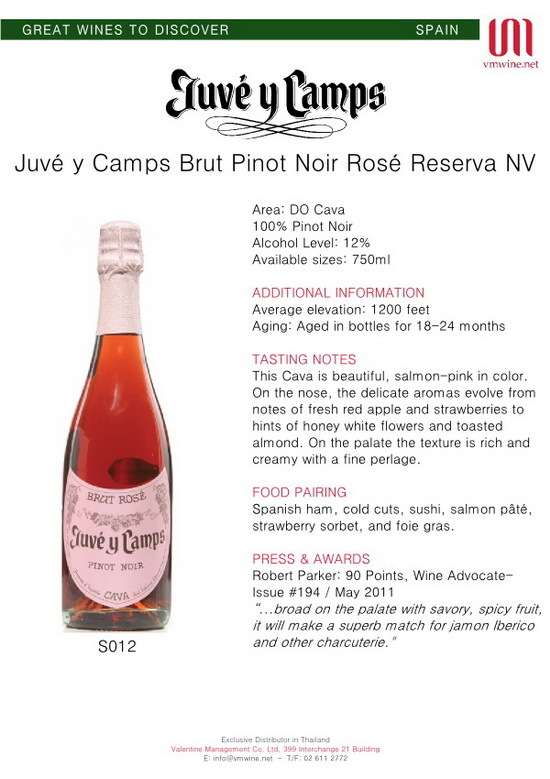 Founded by Joan Juve and his wife, Teresa Camps, Juve y Camps launched its first wine in 1921 and has been a producer of artisanal quality methode champenoise wines ever since. They are perhaps the best known premium Cava producers among aficionados and the favorite Cava of the royal family of Spain.